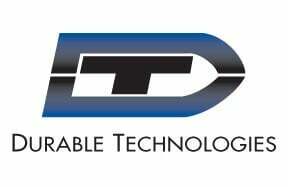 Durable Technologies offers wide array of marking supplies including mil spec inks, rubber stamps, stamp pads, custom nameplates, signs, ink jet fluids, paint markers, graphic labels and more. These low cost and easy to use marking solutions are perfect for identifying machines, equipment, property and other difficult to mark items. If you need a quick, permanent, easy to apply mark, Durable Technologies has a marking solution to meet your needs. Click on any of the links to the right for more information on our Marking Supplies. You can also contact us now to speak with someone in Sales.